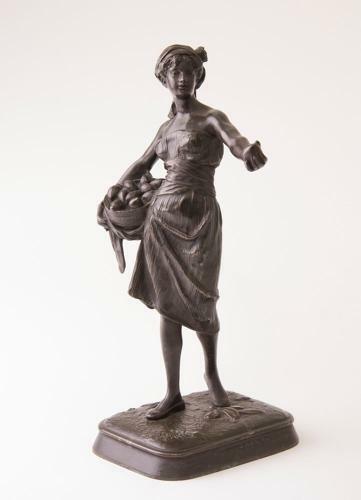 Marcel Début was born in 1865, the son of the famous sculptor Jean Didier Début (1824-1893). He studied under Marcel-Henri Chapu at the École des Beaux-Arts, Paris. He was a member of the Society of French Artists, receiving an honourable mention in 1895. Début exhibited at the Paris Salon from 1883 until the outbreak of World War I. He is best known for his intricately detailed bronzes with an impressionistic characteristic.